Creative Europe supports the development of narrative-led video games, allowing developers the space to experiment with gameplay and mechanics as well as with story and character design. Six Creative Europe-supported games were released in 2017, covering ancient worlds, fiery universes and disturbing dollhouses. Developed by Germany's Bigpoint, Blood Runs Cold is a gruesome take on the hidden object genre. Subjected to a trial by media in a world where news is more about shocking headlines than truth, players must assist journalist Paige Harper as she delves into the dark and twisted mind of a serial killer. Blood Runs Cold is available on iOS and and Google Play. Freggers Play is world-building app that stimulates children to develop programming skills through playing. Developed by German studio SPiN, the iPad game offers children the option to tell stories, build worlds and create their own games. Freggers Play is available on iOS. Future Unfolding is a top-down action adventure that is all about exploration. Your goal is to unfold the mysteries and solve the puzzles hidden in the beautiful landscapes around you. There are no tutorials, and no one is telling you what to do. Developed by German independent games studio, Spaces of Play, Future Unfolding takes inspiration from poetry and art, as well as the gaming classic, Zelda. Available for Windows, Mac and Linux on Steam, Humble Bundle and GOG.com. Little Nightmares is a puzzle-platform horror adventure game developed by Swedish independent development studio, Tarsier Studios. Immerse yourself in a dark whimsical tale that will confront you with your childhood fears! Help Six escape The Maw – a vast, mysterious vessel inhabited by corrupted souls looking for their next meal. As you progress on your journey, explore the most disturbing dollhouse offering a prison to escape from and a playground full of secrets to discover. Available for Playstation 4, PC and Xbox One on Steam, Humble Bundle and GOG.com. The Myth Seekers - The Legacy of Vulcan is a hidden object puzzle game developed by Polish company Artifex Mundi. Inspired by historical events and mythologies from all over Europe, in this first installation players must uncover a 2,000 year old mystery that revolves around the Roman God, Vulcan and stop an evil creature from enacting a scheme with catastrophic consequences. Available via Steam, Mac Store, and Google Play. SteamWorld Dig 2 is a 2D platform action-adventure video game developed and published by Swedish developers Image & Form. In the fourth instalment of the SteamWorld series, players return for a new adventure, digging through the flames of Metroidvania. Available on Nitendo Switch and Steam. 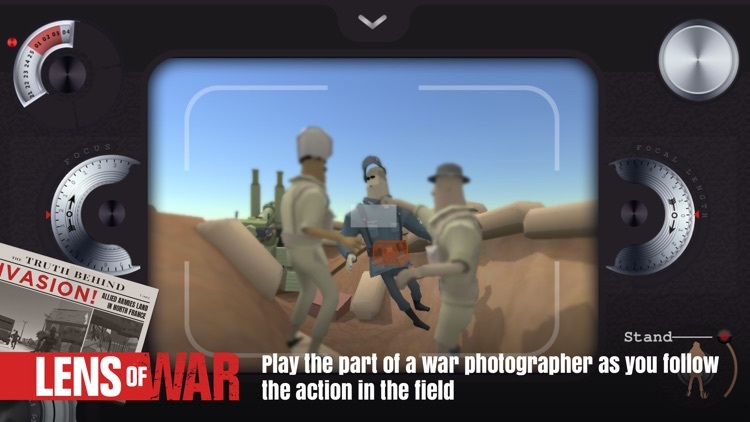 Developed by Possible Zrt, Lens of War requires players to piece together the fragments of a war zone before exploring it. Looking for support for your next narrative game? The 2018 call for projects is now live. If you are thinking of submitting an application, our team of MEDIA specialists are on hand to offer advice and support. Image credit: Swedish independent development studio, Tarsier Studios, received Creative Europe support for the development of Little Nightmares.